Enter the photostudio and complete all tasks that photographer is giving you. 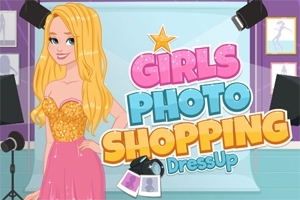 Use the money to purchase nice clothes and dress them up! Choose between Lisa and Maria, both have a different set of items to wear. Become a princess, a skater or maybe even pikachu.